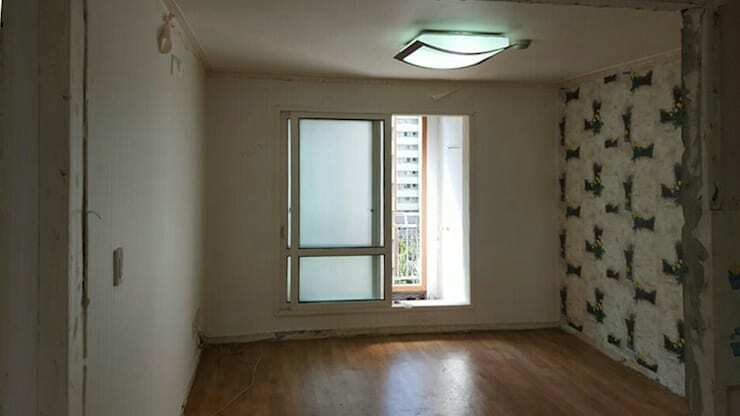 With faded walls showing the ravages of time and wallpaper that was jarring to the eye, this living space was bleak and unwelcoming. The morose ceiling light hardly brightened up the scene. It is hard to believe that this gorgeous space was once a drab living room! 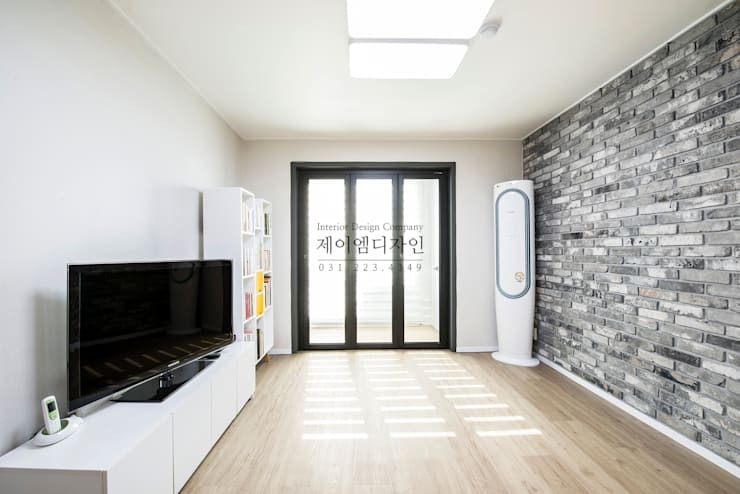 The wall on the right with its grey brick finish makes the industrial-chic aura come alive, while the other bright white walls and ceiling add to the cheeriness of the space. The sleek TV unit in glossy white beautifully complements the new light-hued flooring, while a trendy shelf stands in the corner to attract bookworms. The doors leading to the balcony have been revamped too, and look extremely modern in their black and frosted glass avatar. 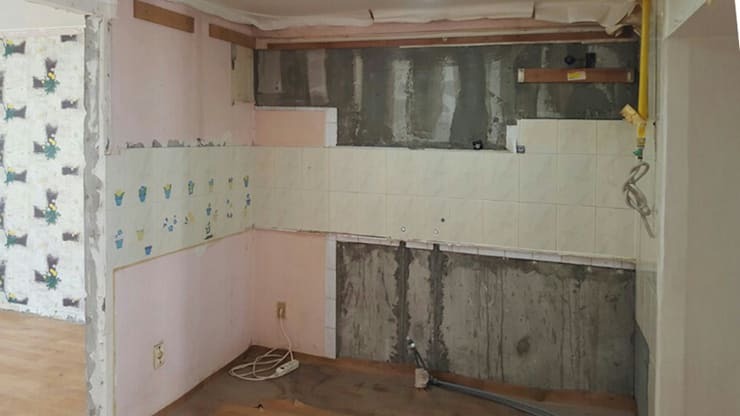 With pink walls and dreary tiles, the old kitchen offered zero cooking pleasure. It was also essential to bring in contemporary fixtures and designs for a modular look. Armed with sleek, white cabinets and fashionable grey backsplash tiles, the new kitchen is an exciting place to cook up a storm! Smart wall-mounted shelves and under-cabinet racks make accessing daily needs easy here. 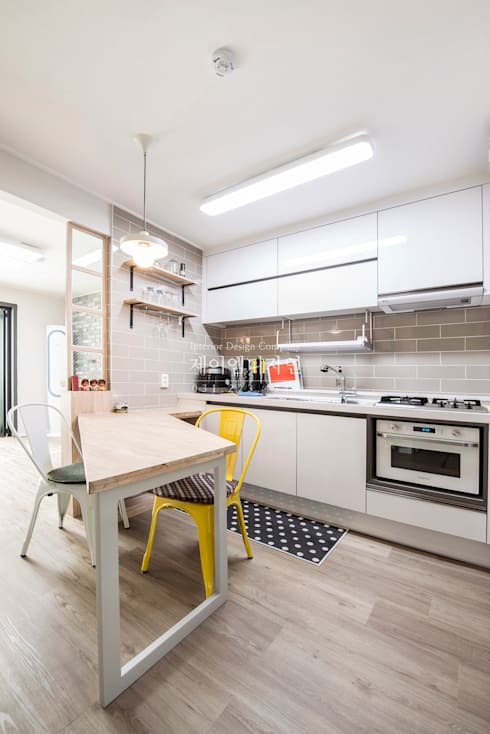 Bright lights shine upon the contemporary appliances and quirky dining arrangement, while the peppy yellow chair and polka dotted mat add a dose of fun to the space. 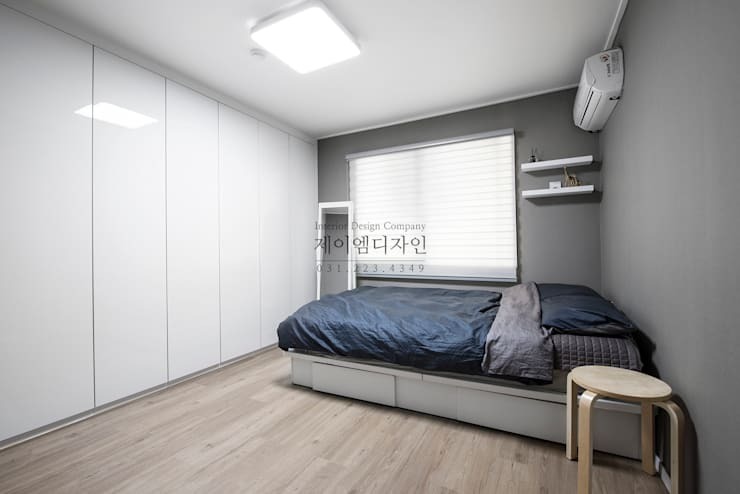 Before: that’s the bedroom… ? Seriously? 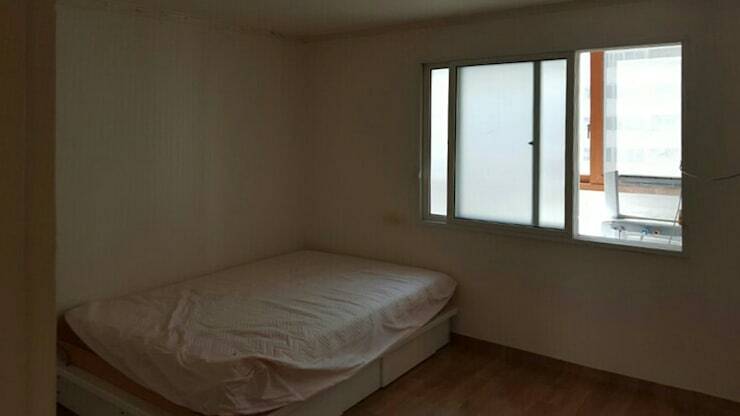 Can you imagine getting a good night’s sleep in this depressing bedroom with its dingy walls and lumpy bed? Surely not! So the designers decided to jazz up this space with stylish minimalism and contrasting tones. The elegant grey walls of the bedroom now wonderfully contrast the stark white ceiling and glossy bank of cabinets, making organisation a dream! Sleek wall shelves contrast the grey tones here, while a neat white blind shades the window for a chic appearance. Sumptuous steely blue bedding promises serene nights and comfortable siestas. A quirky stool acts as the bedside table. 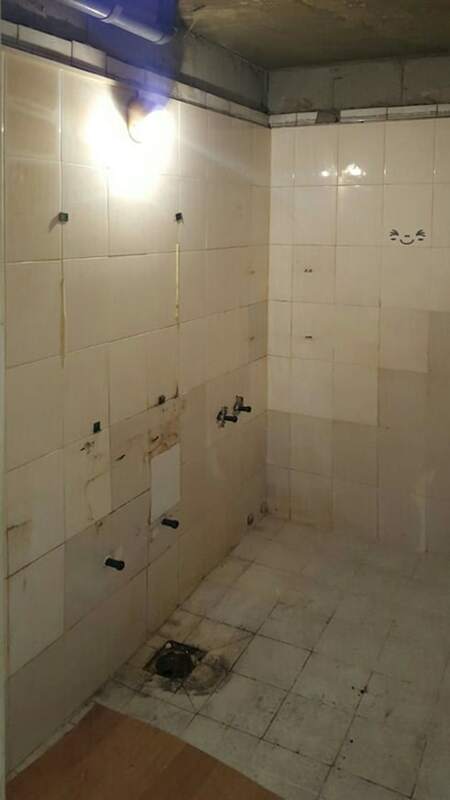 Chipped and dirty tiles, along with grime and a lack of sufficient lighting made the bathroom a veritable horror story. Stylish grey tiles now line the floor and walls of the compact bathroom for a cool and rejuvenating effect. Chic fixtures, a sleek sink cabinet, smart corner shelves and an extremely useful mirror cabinet will ensure you feel like a new person every day after bathing. Bright ceiling lights lend the illusion of space too. This makeover project is an example of how simple but contemporary changes, sleek elements and sober hues can take a home from drab to fab! Here’s another before & after story to inspire you further: The brilliant transformation of a Japanese home. What do you like most about this chic new apartment?